We are distributors of event equipment and sell all over the U.S. We also SUB-RENT IN SOUTHERN CALIFORNIA ONLY. 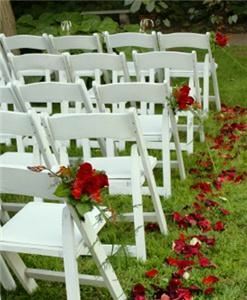 Chiavari chairs (7 colors), banquet tables, wood folding chairs (4 colors) and more. We ship all over the U.S. & shop for the lowest freight rates. Check out our products and prices on our website. Call us for an appointment to come visit our showroom on Mon. thru Fri.